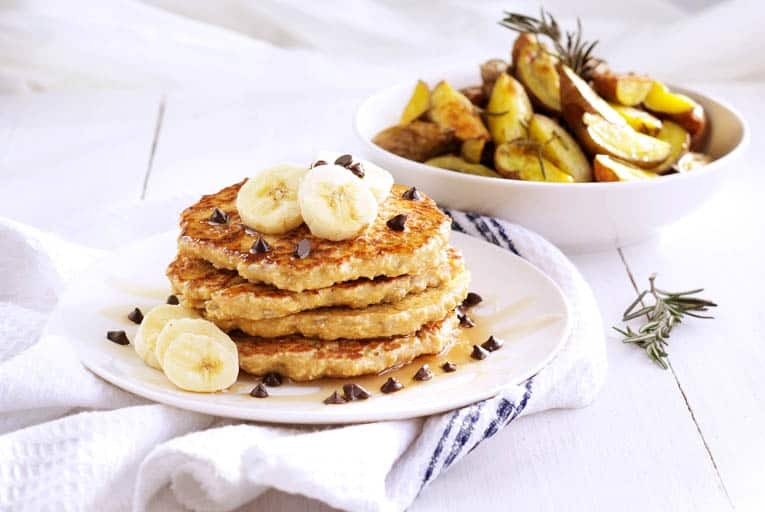 These easy and tasty Oatmeal Sunflower Pancakes are perfect for breakfast, brunch or dinner. 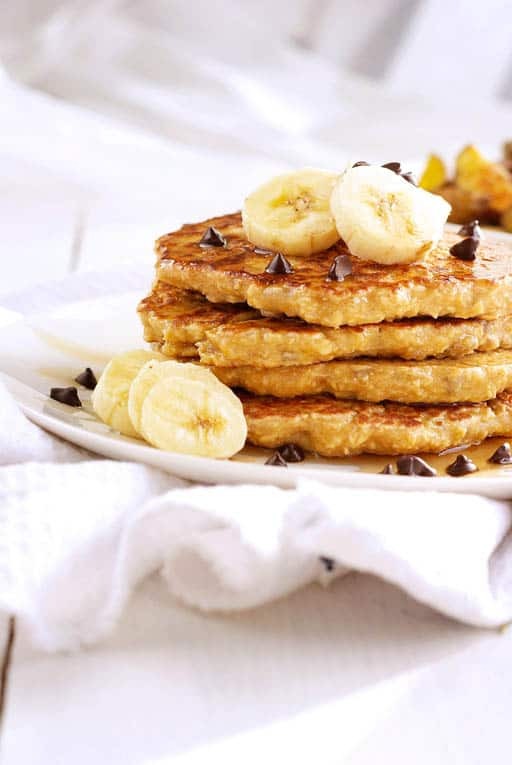 This lightened up pancake recipe is full of healthy whole grains – the whole family will love them! Can anyone say “Breakfast for Dinner?” I think pancakes might be one of my favorite meals, and I always (for some reason) end up craving it in the evening – long after breakfast or brunch has passed. So a few nights ago, I decided to switch things up and make these oatmeal sunflower pancakes and roasted potatoes for dinner. I was worried my husband wouldn’t be a huge fan because he’s used to the classic buttermilk pancake, but he was open to the idea of trying these. 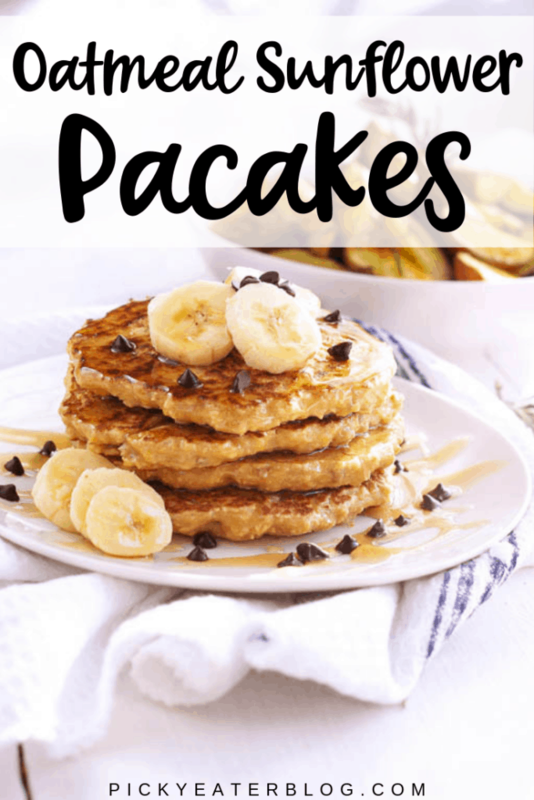 I’d say they are more like oatmeal cakes vs. true pancakes – because they’re a lot more dense than regular pancakes because of the ingredient mix. That said, they had a nice, nutty, mild flavor – the perfect base for creative toppings. We of course, topped them with bananas, chocolate chips and maple syrup, but I also tried them with almond butter & honey (yum!) and peanut butter & blueberry preserves (double yum!). 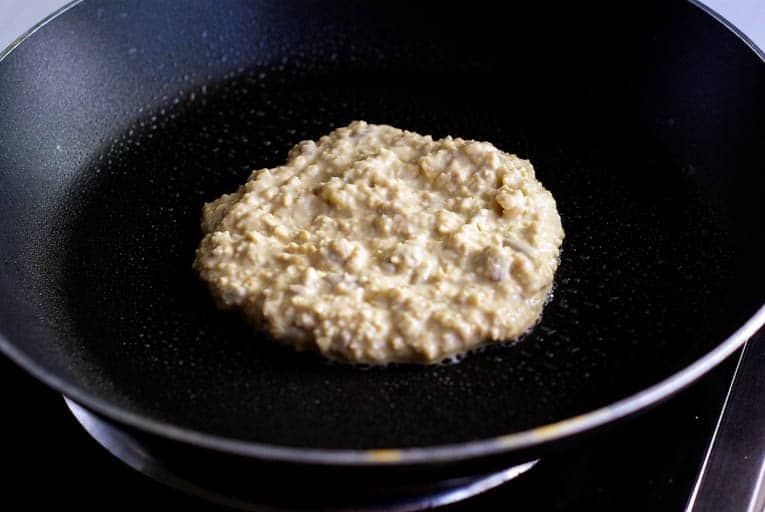 These tasty oatmeal pancakes are really easy to make, and will be on your table in just a few simple steps! 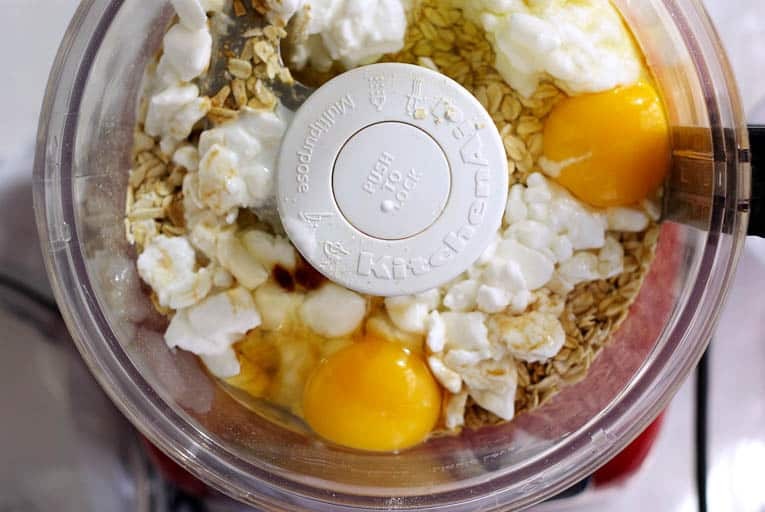 In a food processor, combine rolled oats, low-fat cottage cheese, eggs and vanilla extract; blend until smooth. Pour batter into skillet misted with cooking spray to form four 4-inch pancakes. Cook 3 minutes, until golden brown on each side. 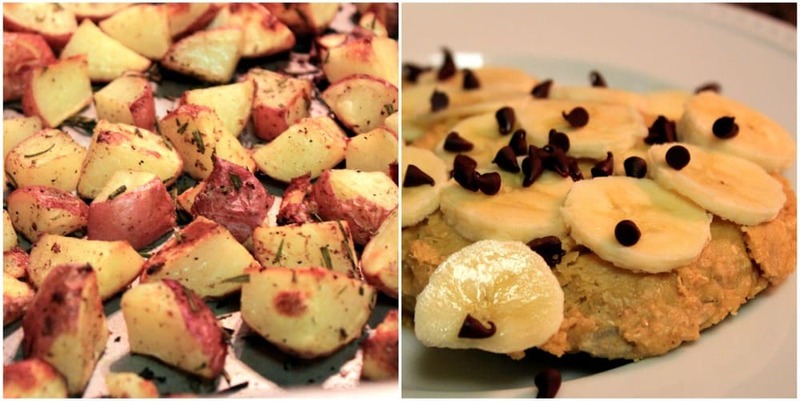 Top with sliced banana and 2 tsp. chocolate chips (for 2 pancakes) – or top with any toppings of your choice! Use a heavy griddle or pan to cook your pancakes. Use cooking spray to grease your pan, or wipe a paper towel dipped in oil around the pan for an even coating. I recommend using rolled oats rather than steel cut. Make electric griddle – I love this one from Presto, or a great pancake skillet like this one from Calphalon. 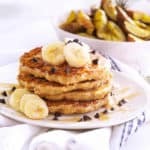 What makes these Oatmeal Sunflower Pancakes healthy? 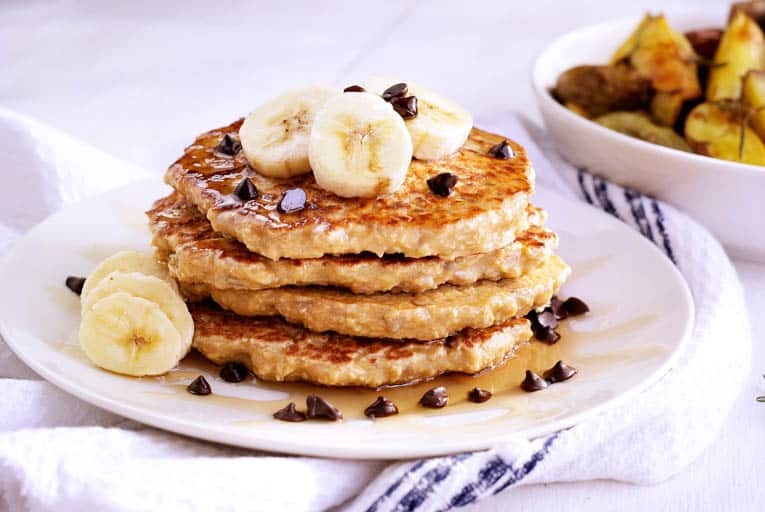 These pancakes are full of whole grains and are high in fiber. Oats are a gluten-free, whole grain and a great source of important vitamins, minerals, fiber and antioxidants. Sunflower seeds are nutrient-dense food that are high in fiber and plant-protein! By using low fat cottage cheese instead of milk or cream, you are reducing the fat content. One serving of Oatmeal Sunflower Pancakes (with chocolate chips!) comes in at around 250 calories, so you can enjoy them guilt free! Can these pancakes be made vegan? Yes! To make these pancakes vegan, you can substitute the low fat cottage cheese with a vegan substitution made from tofu. I found this easy Vegan Cottage Cheese recipe you can make at home, from It Doesn’t Taste Like Chicken. You can make a batch in ten minutes! For a vegan-friendly egg, use a flax egg in place of the eggs in this recipe. 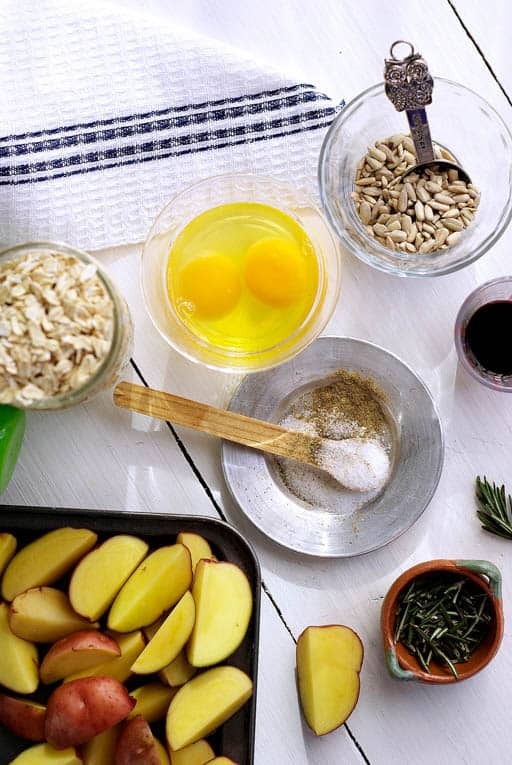 Be sure to check out these other healthy pancake recipes! 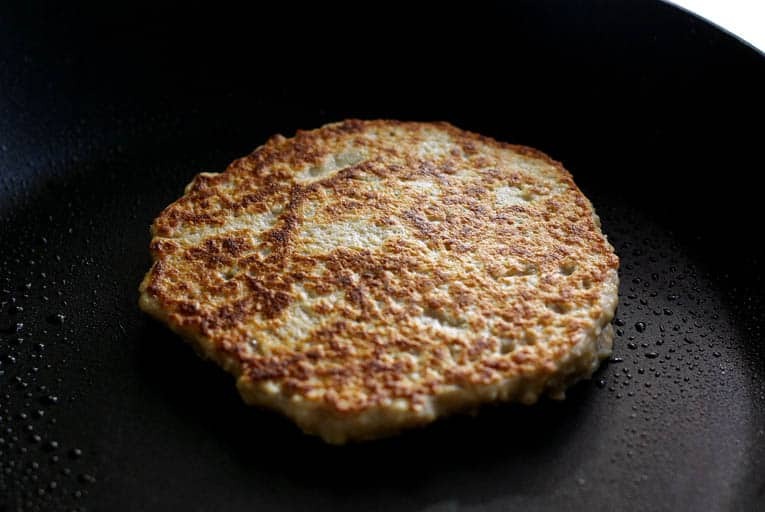 If you have tried this oatmeal sunflower pancake recipe, or any other recipe on my blog, then please rate it and let me know how it turned out in the comments below! You can also FOLLOW ME on FACEBOOK, TWITTER, INSTAGRAM and PINTEREST to see more delicious, healthy, family friendly food! 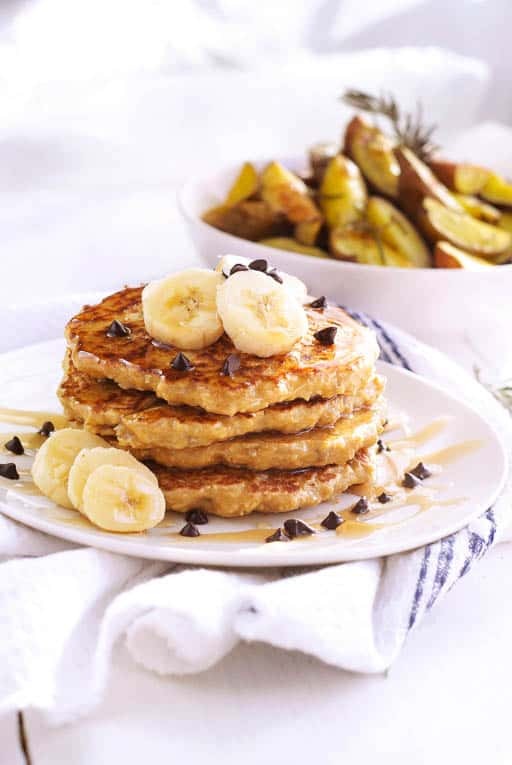 These lightened up, whole-grain-packed pancakes are guaranteed to please the whole family! Stir in sunflower seeds. Pour batter into skillet misted with cooking spray to form four 4-inch pancakes; cook 3 minutes on each side. I have a question — did you use raw or roasted sunflower seeds in your pancakes? We are addicted to the Oatmeal/Sunflower/Millet pancake and waffle mix from The Bunnery restaurant in Jackson Hole, Wyoming and I’m trying to duplicate that. I like the addition of cottage cheese to your recipe to boost the protein. Thanks so much! 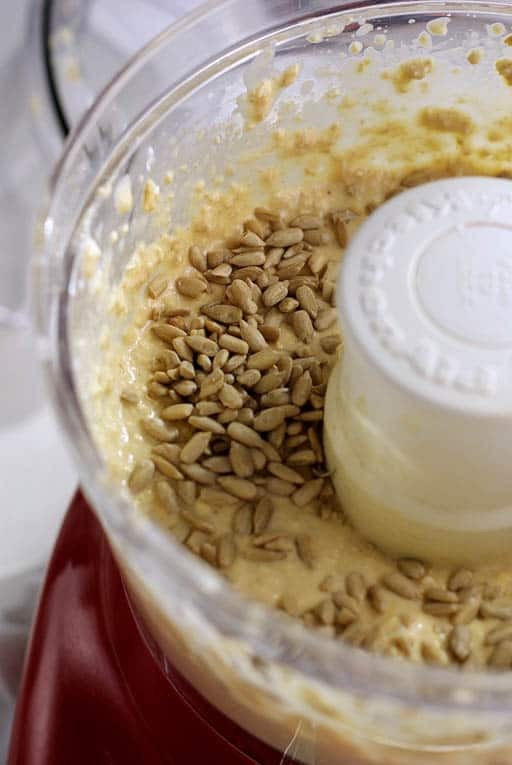 I used raw sunflower seeds – since they get mixed into the batter you don’t need the additional flavor that comes from roasting them 🙂 Hope that helps! Let me know how they turn out! You made great job, great idea, great post. Now i will try it! I love pancakes. I find it hard though to find the time in the morning, even on the weekends. I frequently have breakfast for dinner. It is quick and far cheaper than a meat and potatoes kind of meal. I am going to try your pancake recipes, I too am always on a search for making them a bit more healthy. Of course my addition of maple syrup doesn’t help much.